This model was converted back in late 1999 but for some unknown reason I did not paint him until June 2001. 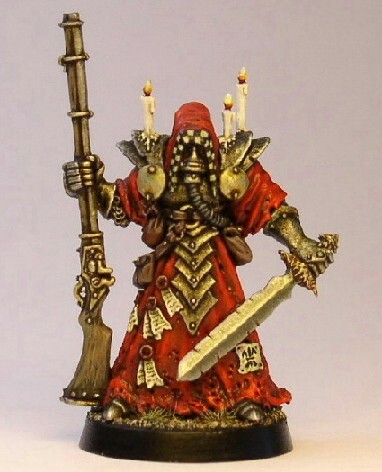 The model has been converted by extending the robe and adding the candles. Also, the original model held a large knife which I cut away and added the sword made from plasticcard and greenstuff.